By the time kids are 3, they have opinions on what they want to be for Halloween. I wonder what Saoirse would have wanted to be. A super hero, a princess, a fire truck, a train? She could have been anything she wanted. 3 is the perfect age to be anything you want. If only she could have been 3. 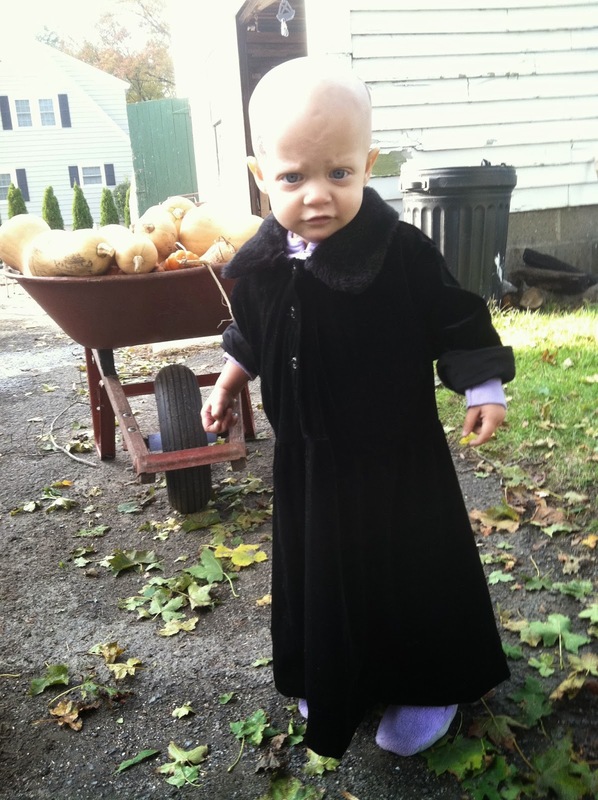 When you are bald and it's halloween, the best costume is Uncle Fester. Saoirse would have wanted to be your daughter -- and she is, even in her current state. Sorry so much for your aching loss. completely unfair.